This Diwali, embrace style and celebrate like never before! Arjun Kapoor giving his all black look an interesting dash of colour! Everyone loves this time of the year. The air is filled with festivities, celebration and joy while you're surrounded by all your loved ones. What Christmas is for the West, Diwali is for us Indians! It is without a doubt the most exciting time of the year. And adding to all the buzz is the dressing up part. Everyone goes all out with shopping and picking up their attires for the zillion Diwali card parties, celebrations with family and friends and of course the Diwali puja. It is most certainly about your new clothes! The dress code for any Diwali function is obviously traditional and men, most people believe, have it easy. All they need is to get a wonderful kurta with a churidar and they're set. If need be, there is always an achkan that is handy. The colours can be one of the pastel shades, black or red. Or some other exciting colour depending on your taste. Sounds too easy? Indian men have a problem figuring this out as well. This Diwali pledge to not make the following fashion errors and have a bright, colorful and uber stylish time with your loved ones! On the surface, there isn't anything wrong with this look. It is comfortable, easy to pull off and doesn't look too bad either. But the look screams 'lazy' from every angle. It is like you just didn't bother to dress up. During the festive season, when everyone is getting ready to look their best, the least that you can do is not wear a kurta over your every-day jeans. Take some effort, dude! We get that it is a joyous occasion and you're really in the mood to have a great time. But nothing gives you the excuse to dress up like you're going to your own wedding. 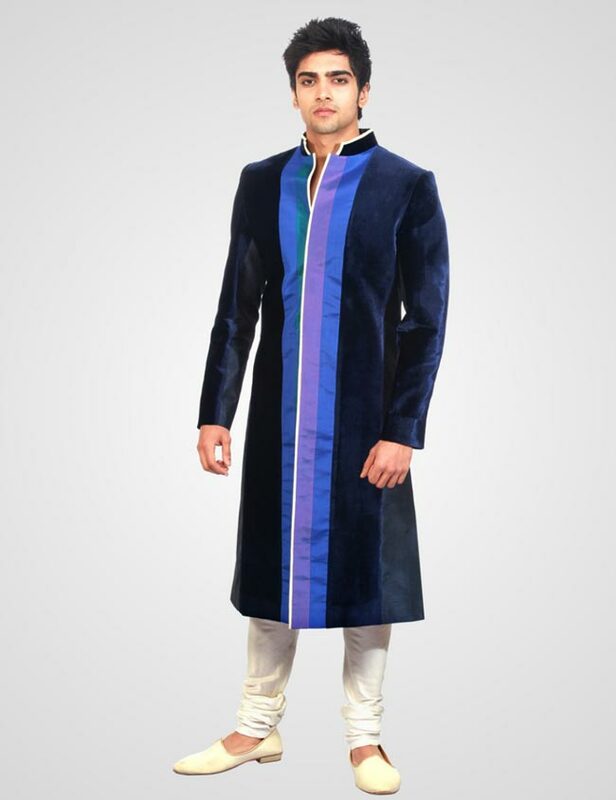 A Sherwani, unofficially, has been crowned the staple wear for grooms and his mates at weddings. It is too loud for a festive celebration however bright the festival may be. Are you too eager to wear it? Go get married instead! Don't get us wrong, we love the shade. It is classy, sophisticated and very chic! But there is something about black that doesn't go very well with a festival. There are so many other exciting shades that you can try that putting on an all-black look looks sacrilege. If you want to go for a black kurta, team it up with a cream or white churidar and a bright colored dupatta as well. Again, nothing wrong with a kurta-pyjama but the only two places it looks good is while you're sleeping on your bed or sitting for a puja. And a Diwali celebration is neither of the two! Get rid of the pyjama and get yourself a churidar. Don't forget to check if you kurta is too plain for the occasion and exchange it with a more celebratory one. Unless of course you plan to look twice your actual age!